For most people, doing laundry is not one of their most favorite things to do, especially if you are a teen boy! I know it’s hard to believe that the mountain of clothes in their room isn’t bothering them, but it may not! There is a slight chance that they notice it, however, they aren’t motivated enough to do something about it. 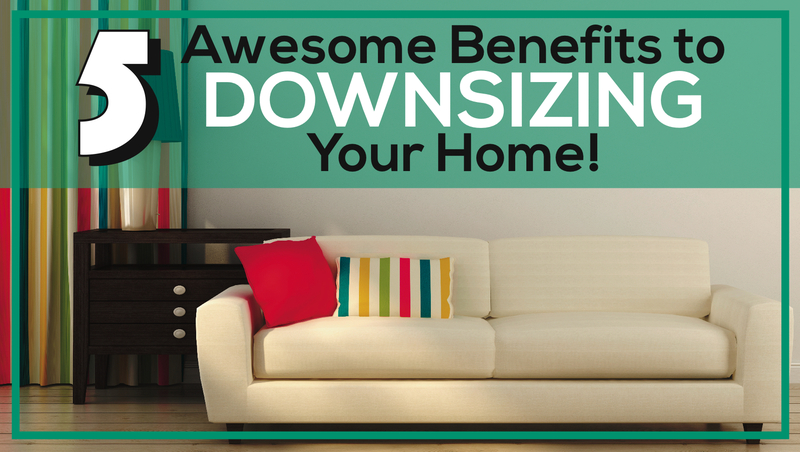 Creating a simple system by breaking down a chore that isn’t fun, chances of completion will be way higher! Is it possible to make the chore of laundry a fun one? As a parent, do you like to do the laundry? 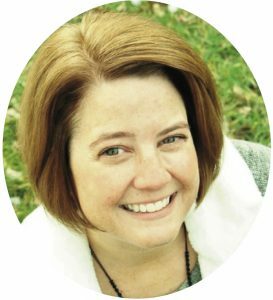 Would you like to create a system for yourself that you could model for your son? 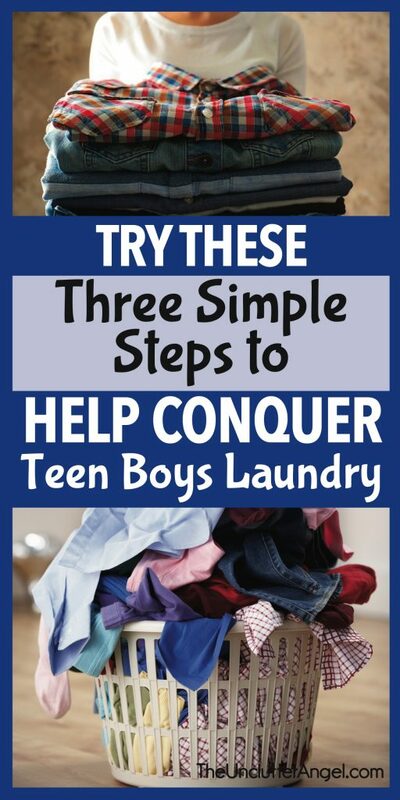 Try these three simple steps to help conquer teen boys laundry . . . and maybe your own! 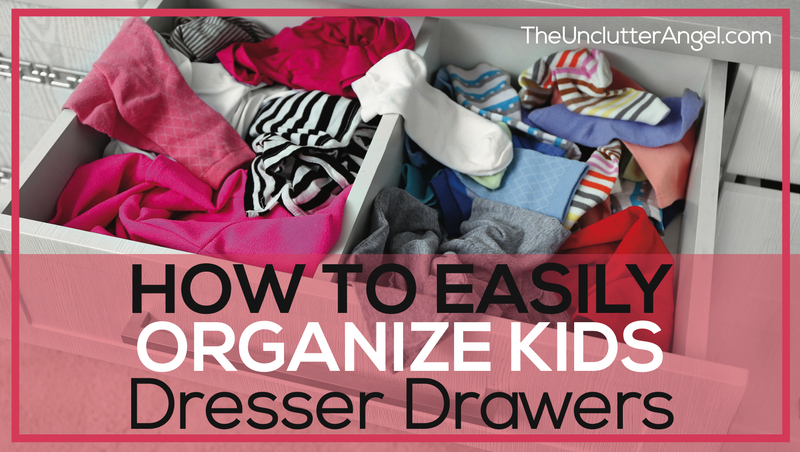 RELATED POST: Organize a Teen Closet for Success! Starting a project of any kind can sometimes be the hardest part. Laundry is no exception. Especially when one is staring at a mountain of clothes in the bedroom floor. As the parent, you can decide what system would work best for you. Your teen boy is watching what you do. (Even if it doesn’t seem like they are!) They see how you are doing your laundry. (When they are awake!) Only you know how you can give gentle suggestions, if any, to help them with their laundry. I have offered to throw in my son’s laundry with the rest of the family’s. If he doesn’t take me up on it, then it builds. But eventually, he knows that it’s out of control, and brings it down to the laundry room. He knows how to do his own laundry, since he did it in high school. He has the college experience under his belt too. If I have other laundry to do, I’m perfectly fine with throwing his in with the rest of the family’s. This is also showing how we can help each other. 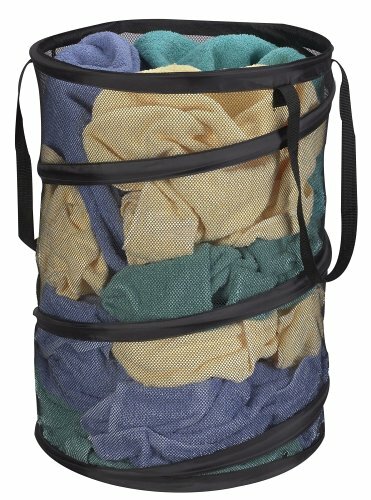 A laundry rotation day can make it easier. With laundry rotation, each family member knows what day is theirs to do their laundry. This is nice because one doesn’t have to worry about wanting to do a load of laundry only to find that the washing machine has wet clothes in it and the dryer is full! Is it possible that your teen boy is struggling with laundry being all over his room because he doesn’t know where to put it? I know that my oldest gets most of his stuff in his hamper, and if it overflows, at least it’s in the general vicinity! At least it makes it easy for him to scoop it up when it’s time for laundry day. 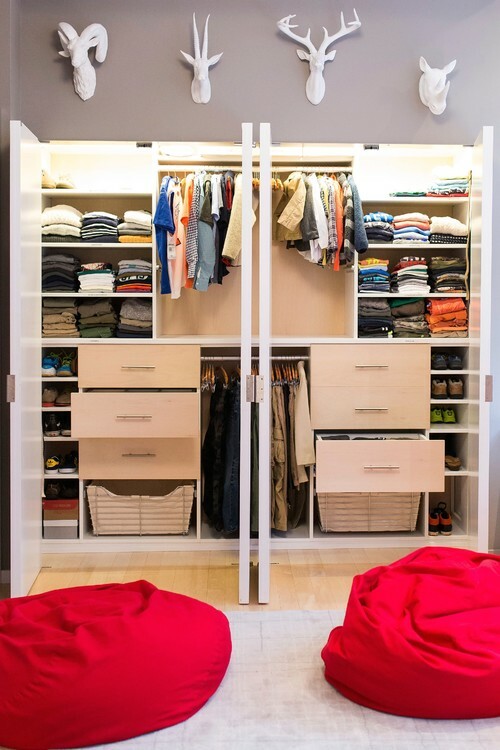 Having a designated place to keep dirty clothes, gives your teen boy a better chance of keeping his floor clear, and you from breaking your neck if you go in his room! 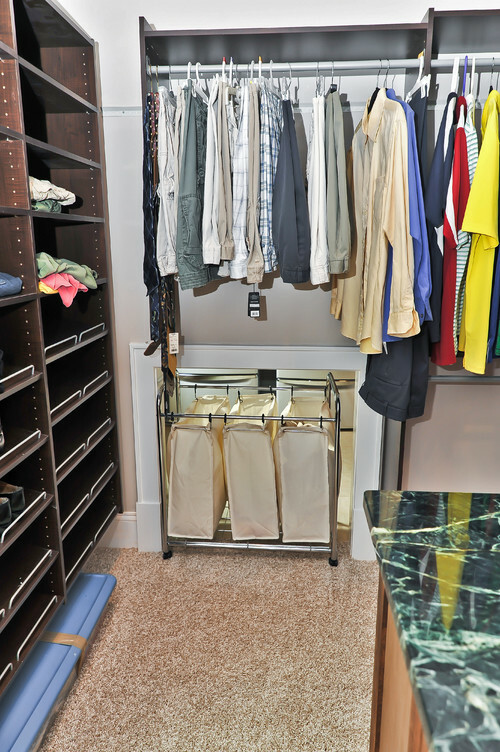 Having a designated place to keep clean clothes is just as important as having a place to put dirty clothes. I totally understand why you are rolling your eyes! I get it. Sometimes, there is no way that your teen boy is going to be inspired to put clothes away. To put clothes in his drawers? 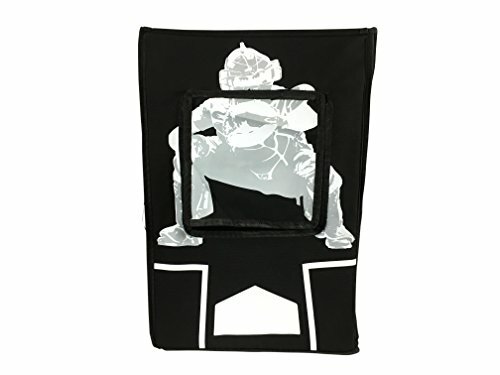 Hang clothes in his closet? Or does he have too many items? To store off season clothing in storage under his bed or in his closet? If he is open to it, you can ask him questions about how he uses his space. Ask him if he feels he has enough space or too many pieces of clothing. Asking him questions may help him to see his space in a new way. 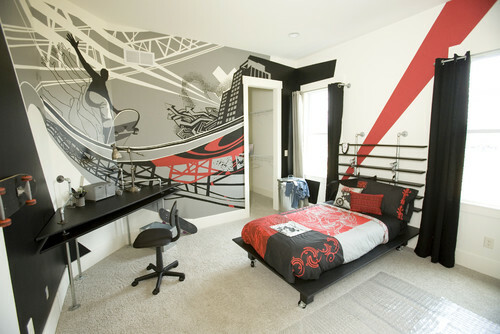 He may even take the initiative once he realizes how he can better arrange his room and how he stores his clothes. 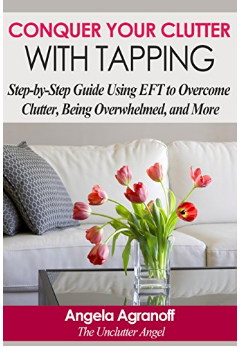 It’s when we don’t have the space, and too many things, that we start dumping stuff on flat surfaces and the floor. 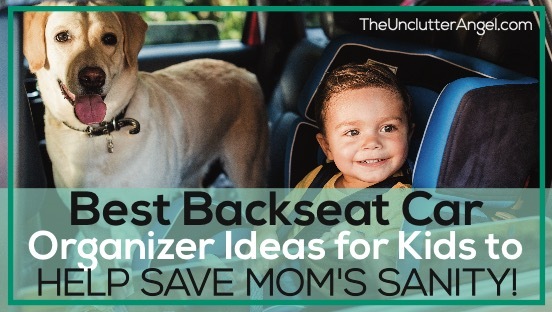 Showing him solutions now will be helpful for when he goes off to college, or gets his first place on his own. Ultimately, what will influence our offspring to do laundry and take care of their space is by watching us, their parents. You know they watch everything you do, and that includes laundry. If they aren’t following through even after you have tried to encourage and set them up for success, the simplest advice I can give is to close their door. 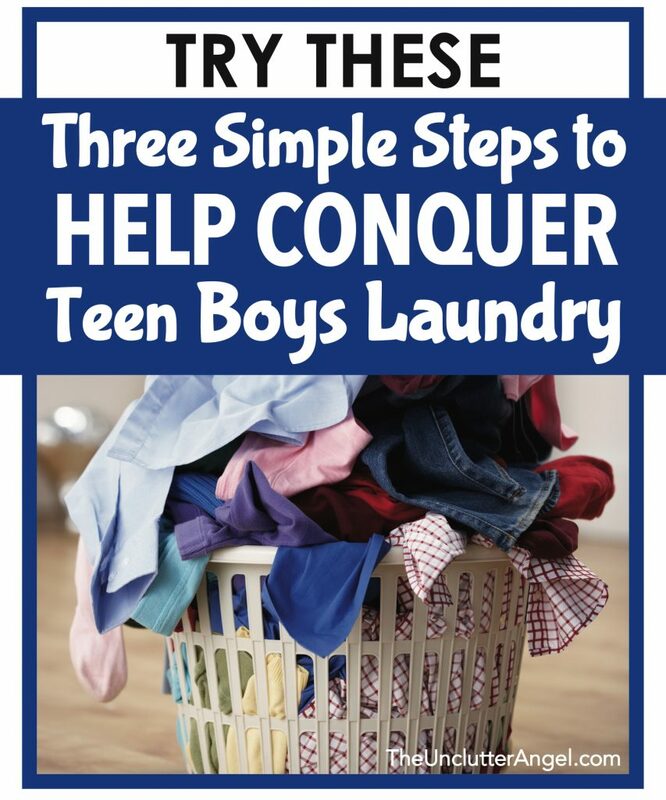 Maybe that is the one thing your teen boy does that can be the biggest help for you! Don’t worry, your son will always have clean clothes. If he isn’t staying on top of it now, as he gets older, he will. I am very confident that he will go to work as an adult with clean clothes. I’m not sure what his grown man floor will look like, but I promise, he will have clean clothes. At least this is what I keep reminding myself. I have two boys.